In Einstein’s letter to the Besso family, his reference to “people like us” was a description of those believing in “block time” (or “block universe”) whose theory is due to its description of space-time as an unchanging four-dimensional “block”, as opposed to the view of the world as a three-dimensional space modulated by the passage of time—and is, also, a philosophy of time called “Eternalism” that takes the view that all points in time are equally real, as opposed to the idea that only the present is real. 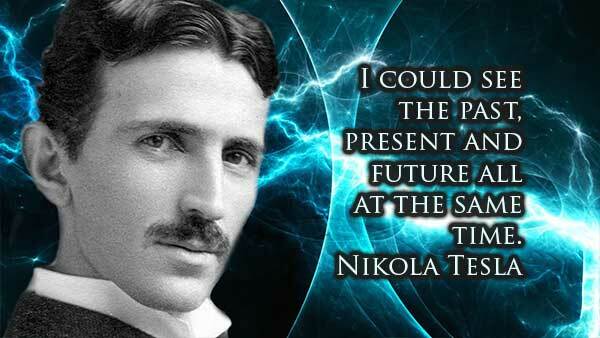 Being fascinated with the concepts of life, death and time after the death of his beloved mother, Tesla poured himself into research that gave him his first indication that space and time might be influenced by using a highly magnetic field—and who almost died, in March 1895, when he was accidently struck by 3.5 million volts of electricity—but who afterwards told a reporter from the New York Herald that when he was in contact with the resonance from that powerful electromagnetic charge, he “went out of his space and time window” and said that he had been able to “see the past, the present and the future at the very same time”. 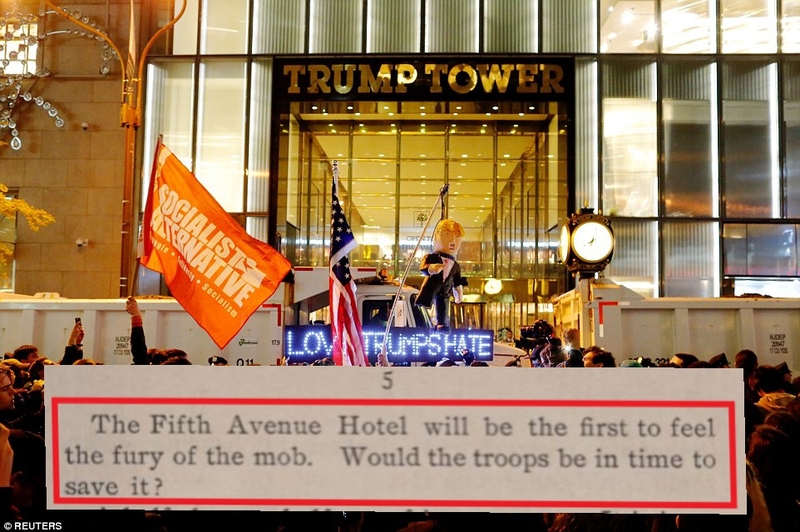 On 7 January 1943, at the age of 86, and in the midst of World War II, Nikola Tesla died alone in Room 3327 of the New Yorker Hotel—and with fears being rampant that he had been working on a “Death Ray” to help the Allies win their war against the Nazis, the FBI immediately sealed off his room and called one of America’s greatest scientific minds of that time to examine and catalog all of his work—whose name was John G. Trump, and who, also, was the paternal uncle of President Donald J. Trump. 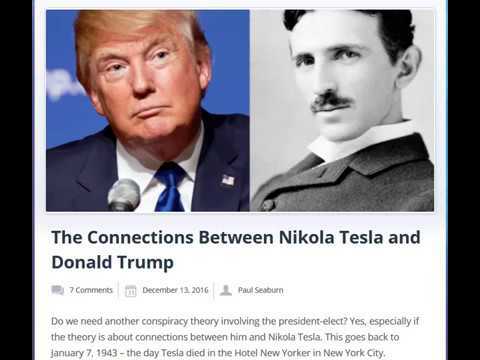 President Trump’s uncle John was an American electrical engineer, inventor, and physicist and recipient of US President Ronald Reagan's National Medal of Science, was a member of the National Academy of Engineering noted for his developing rotational radiation therapy, and who, together with Robert J. Van de Graaff, developed one of the first million-volt X-ray generators—but whose knowledge and possessions of Nikola Tesla’s research into “time” explains one of the greatest mysterious confronting our world today—can information about our present be transferred to the past. 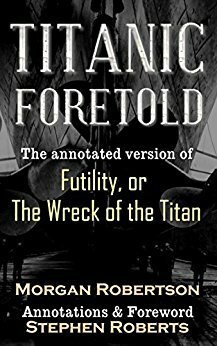 The novella Futility, written in 1898 by US writer Morgan Robertson, that described the largest ship of its day, called the Titan, as being “unsinkable”—but on its maiden voyage hit an iceberg and sunk costing the lives of thousands—and nearly exactly matched the events occurring 14 year later, in 1912, when the Titanic sank. The X-Files television spinoff series Lone Gunman airing its pilot episode, on 4 March 2001, and having a storyline about planes being hijacked in order to crash them into the World Trade Center buildings in New York City as part of a US government plot—and that nearly exactly matched the events which occurred on 11 September 2001 (9/11). 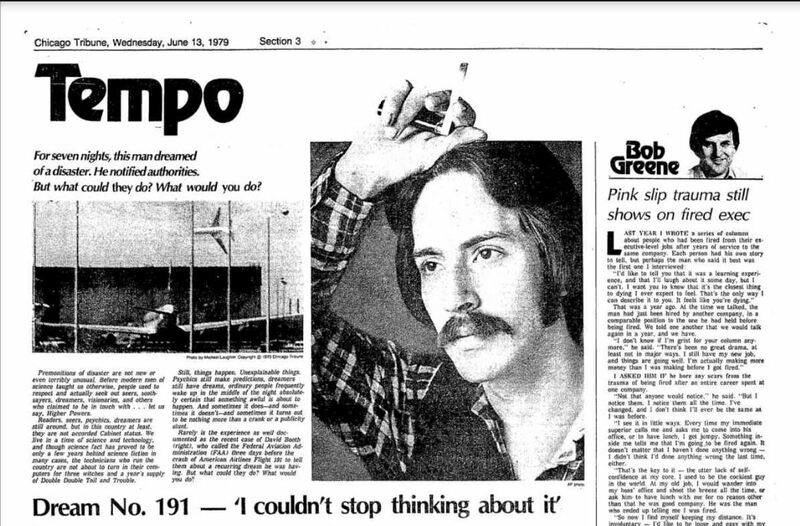 A said to be former CIA operative named David Booth who, in early May 1979, had his “prediction” fully documented by the US government about an American Airlines jet crashing—and that was followed, on 25 May 1979, when an American Airlines jet crashed in Chicago becoming what remains today as the United States worst air disaster in history—and has since that time led many others to speculate that Booth was, or maybe still is, a part of the CIA’s highly secretive “team of clairvoyants” known to exist. 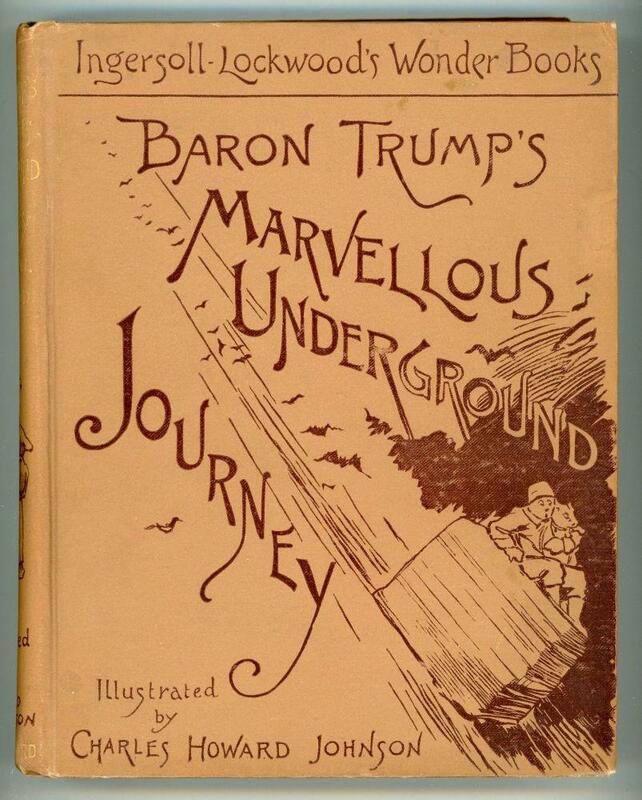 And President Trump is no exception to this “time mystery” either, as in the late 19th Century, an American lawyer named Ingersoll Lockwood (the First Cousin of Morgan Robertson who wrote the novella Futility, the Great Uncle of Chris Carter who created the Lone Gunman television series, and the Third-Great Cousin of David Booth who predicted the American Airlines crash) suddenly began writing novels—the most important for this discussion being Baron Trump's Marvelous Underground Journey and Travels And Adventures Of Little Baron Trump And His Wonderful Dog Bulger and 1900: Or; The Last President. Now with the word coincidence being defined as a remarkable concurrence of events or circumstances without apparent causal connection, my reason for writing to you today is let you know that with these documented historical events I’ve mentioned herein, another word, fate, is what is most important—and whose definition is the development of events beyond a person's control, regarded as determined by a supernatural power. 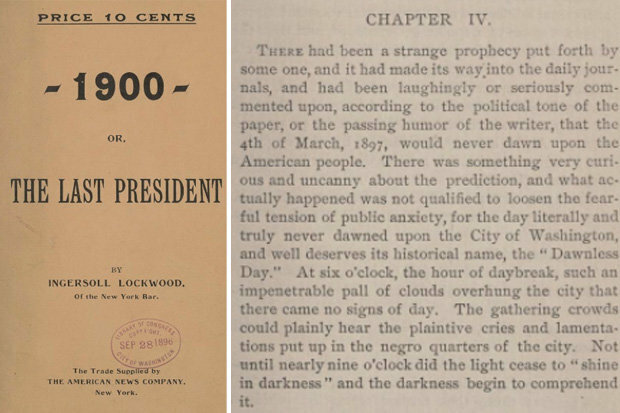 And only by the including of the “supernatural”, along with the past, is anything able to be understood—and if you want the real reason why so many people are going insane today, it’s because this isn’t being done, except by us, of course. So, let me end with this—every single minute of every single day you can go out to search and read a multitude of information that’s only designed to keep you more confused than ever—but when you come here, we give you the truth as we’ve discovered it to be and, also, provide you the context in which to understand it. There is no way, though, we can continue to do so without your help—so please give us what you can so that we can continue our work—and if not, ask yourself why you won’t help those giving you one of the most unique perspectives on the world you can’t find anywhere else—and what you’ll do when we’re gone, as we’ll soon be without your doing something about it. If each one of you reading this letter gave just $20.00, the Sisters of Sorcha Faal would be able operate for an entire year—and that’s just 5 cents a day! August 26, 2017 © EU and US all rights reserved. Permission to use this report in its entirety is granted under the condition it is linked back to its original source at WhatDoesItMean.Com. Freebase content licensed under CC-BY and GFDL.